Looking for a one-stop destination where you can enjoy and choose the affordable and fresh rice porridge, fried rice, or martabak telur? Then Bubur Cikini is the right place to start. Imagining myself being a backpacker, I would dream to reach my destination where there’s this area of easy access from anywhere, nearby the rapid transit, has decent places to sleep, and easy to find good food – all within the walking range. The ever-growing neighborhood of Cikini next to Menteng, has all what these tourists need and even for the native Jakartans as well. 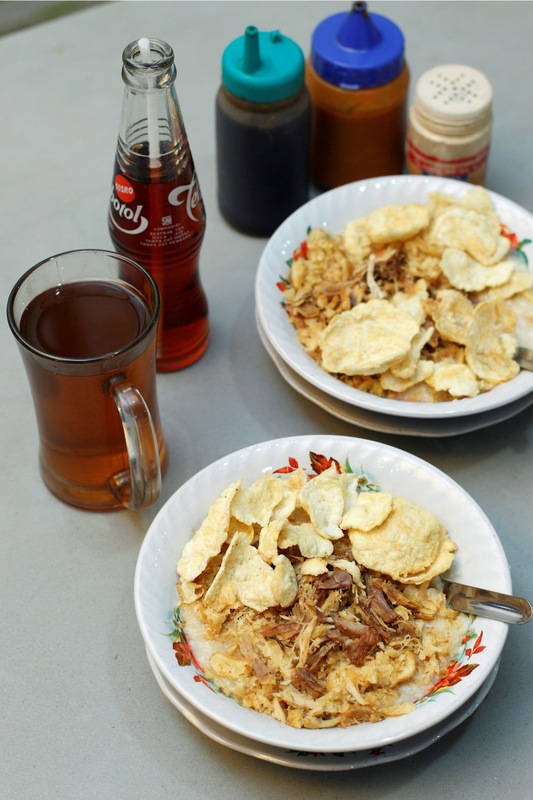 Within a block where you can find either fast food or local specialty dishes, lies also the rice porridge joint known as Burcik – a portmanteau of bubur and Cikini. For a complete three decades, Burcik has now claimed itself a three-storey building to serve its customers better. While they now also offer nasi goreng and martabak telur, they never lose the tradition of what that grew them big like now and it came from a simple but sure, bowl of hot rice porridge. Each establishment clearly has their own characteristic when it comes to rice porridge. But Burcik emphasizes the use of ginger as you can clearly taste and smell right away but thankfully, not necessarily overpowering. The porridge itself tastes a bit flat and I would recommend anyone to mix it alongside the raw egg and some seasonings. True to its word since the beginning of the business, Burcik uses only local ayam kampung or the free-range chicken, fried, and shredded and then topped with emping crackers. To further maintain the originality of Cirebonian-style, Burcik uses only soy sauces imported directly from the city and no additional turmeric soup added on the porridge or even the Chinese-influence with scallions. The porridge itself is cooked only with chicken stock but with no additional seasoning. That’s why you will need to add your style into it. With its affordable price, a rather stiff but precise service, and its strategic position; Burcik is indispensible for anyone who got trapped in Cikini and famished. 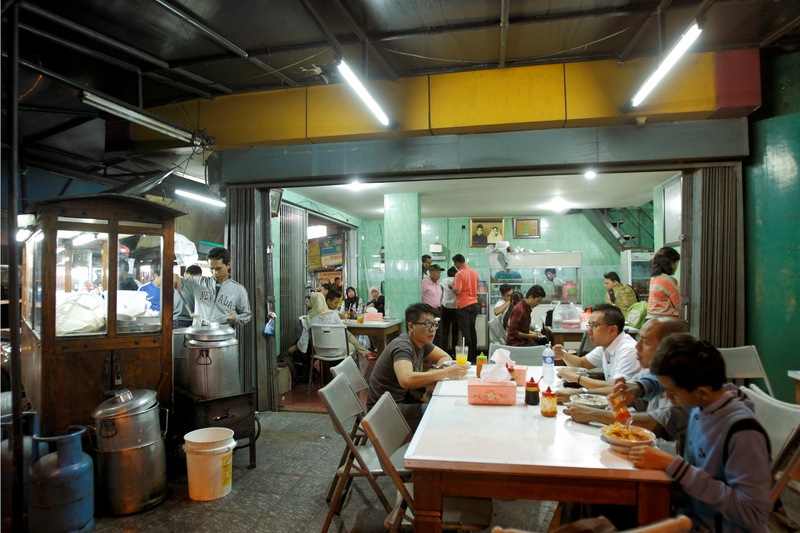 People are simply flooding the place from morning and at night for dinners where they would share the martabak telur and each having their own dish of either the Chinese stir-fries or the signature rice porridge. Previous PostThe Escapist’s Getaway™: Lembang – Floating Market (Venture Travel Magazine, Oct 2014)Next PostTGA Note: What’s Next in 2015?